Sadio Mane believes Liverpool is exactly where he needs to be, and has revealed exactly why he chose us rather than a move to Manchester United, as reported by the Echo. The Senegalese international made the big money move to Anfield earlier this window, but he had a number of offers from a number of clubs. Manchester United were one of the clubs chasing his signature, but despite interest from Jose Mourinho we were the ones who secured his signature. 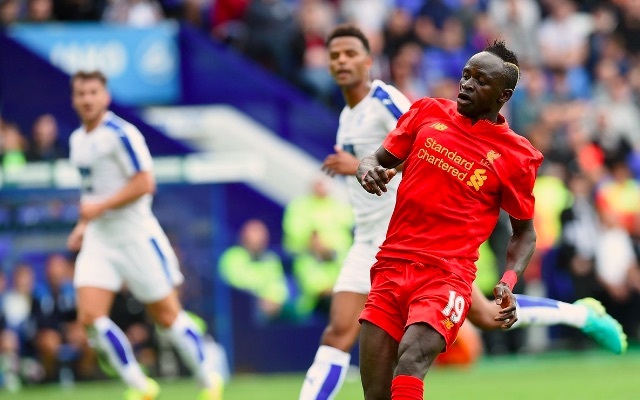 Mane has spoken about the interest in him, explaining exactly why Liverpool was always going to be the right decision for him. “Yes, it was true [Jose Mourinho wanted me]. There was interest from a lot of clubs, not just Manchester United, but as soon as I knew Liverpool were interested I just felt it was the right club with the right coach. It was right for me to come here,” he said. “Liverpool are a massive club with a big history that has won many trophies over the years and as soon as I was told of the possibility to come here and I knew the manager wanted me I said yes. “It was a telephone conversation where we discussed different things. The fact that players are choosing to join us over Manchester United is fantastic to see, as with the financial firepower they have has made it hard to compete recently. Jurgen Klopp is a large part of the reason players are now drawn to Liverpool, as working with a manager of his quality and a manager who has achieved what he has is an appealing prospect. Success breeds success and this will hopefully be the start of an upward spiral. The ability to bring quality players into the club will make us stronger, a stronger side will allow us to challenge for Champions League spots and even titles, and playing in the Champions League and winning titles will attract even better players. It’s a cycle that can propel us back up the table and keep us there, and this is just the start.